Four Winns’ experience at building great runabouts shows in its entry-level Horizon F190. 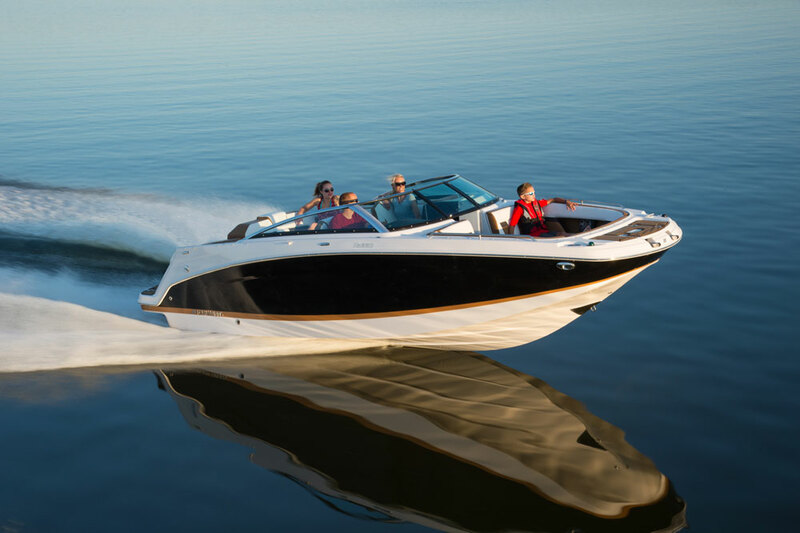 New entry level runabout boats, such as the Four Winns Horizon F190 (a simpler version of the Horizon H190), play a significant role in increasing new-owner satisfaction. And that satisfaction is critical since it often determines whether or not that new boater sticks with the sport, or moves on to other things. There are lots of entry level boats on the market, and one we think will be particularly effective in providing new boaters with a positive experience is the Four Winns Horizon F190. Here’s why. The Four Winns Horizon F190 represents an inexpensive door into the world of boating - without giving up on quality. The first is obvious to even the most casual observer: the price. At $25,523, the F190 is about the price of an average midsize car. That’s comfortable territory for a lot of new buyers, whose only experiences with big-ticket purchases are cars and homes. The closer the price of a boat is to car—rather than a home—the easier it is for new buyers to be more at ease. The second is not so obvious unless you’re familiar with the marine industry, and that’s the gene pool from which the F190 is drawn. 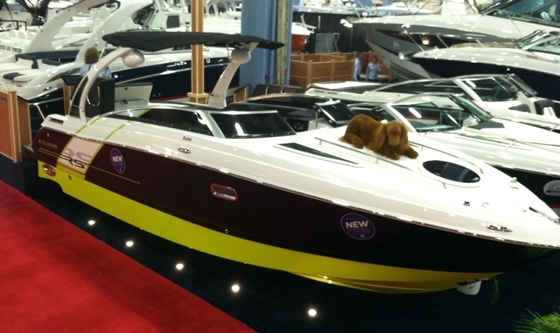 Four Winns has a long, proud history of building boats in general and runabouts in particular. 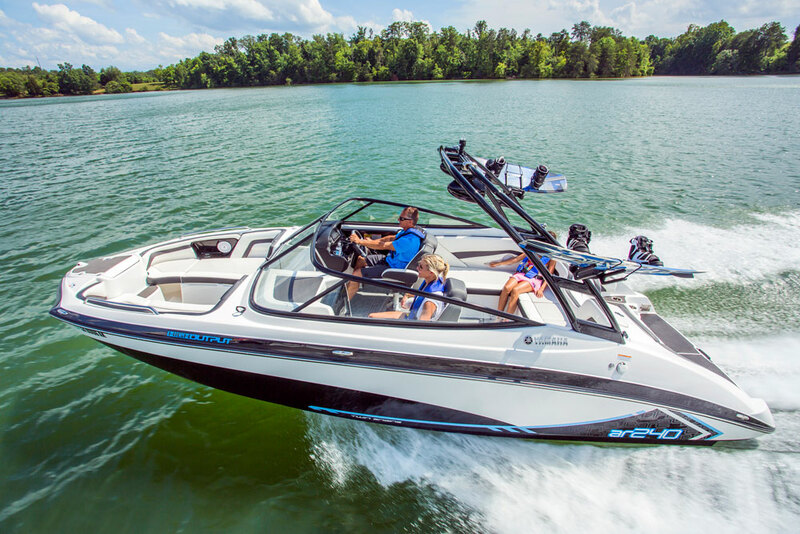 That bodes well for its entry level offerings, because that experience lends itself to building an entry level boat that looks and feels more luxurious than a typical value leader. For example, the F190 comes standard with a trailer, custom made by Four Winns. That means the bunks on the trailer line up with the boat’s fiberglass stringer system in the hull. It means the trailer is built to fit the F190 and isn’t loosely configured to fit a myriad of other boats. Since a runabout spends so much time on its trailer, that’s a critical detail. We also like how the F190 is built, especially in places where it’s possible to cut corners. 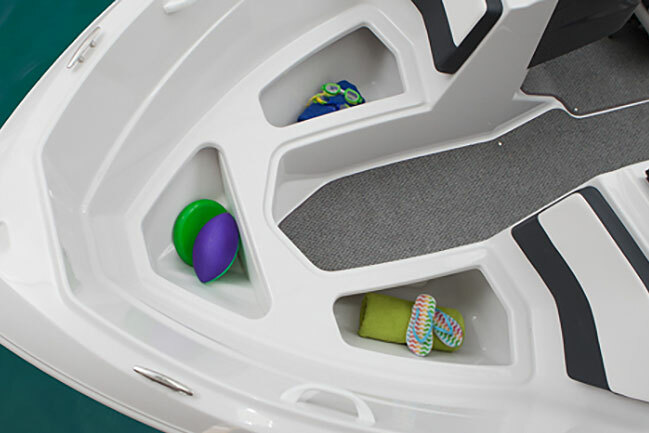 For example, the stowage compartments in the bow are finished in positive-molded gelcoated fiberglass. It would be easy to just slap a deck on top of hull, brush some gelcoat on the inside, toss in a mat or some carpeting, and call it good. But the stowage areas on the F190 are fully finished. 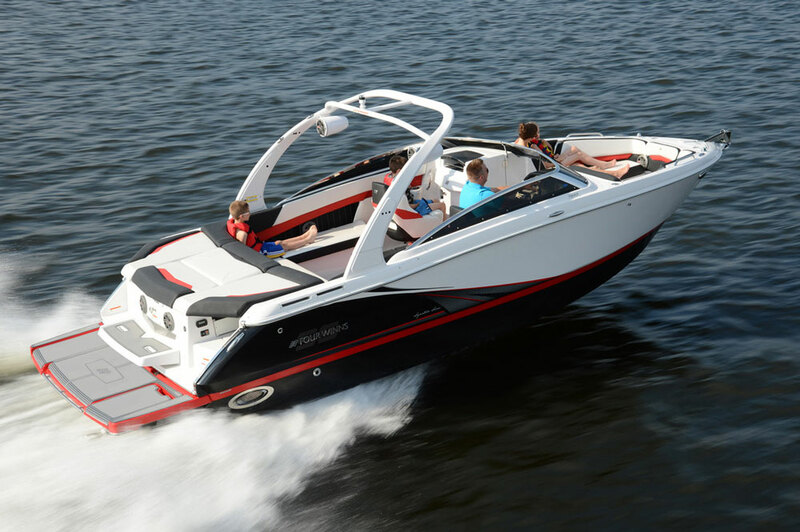 Many entry level boats don't offer the level of fit and finish attained on the F190. That attention to detail applies to the in-sole locker, as well. Not only is it finished in the same manner as the bow stowage areas, but it also features a solid composite hatch with ventilation. That hatch is supported by a gas strut when open, something you don’t often see on entry-level models. The rear bench also has three stowage compartments underneath. 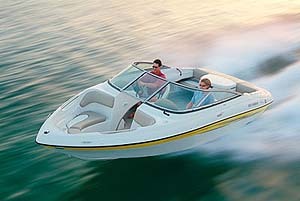 As an entry-level offering, the boat is simple and straightforward. The cockpit configuration features a small bow seating area, swivel buckets for the driver and observer, and a full width rear bench. Four Winns maximized interior space by keeping the gunwales thin, which is important on a boat whose beam is less than eight feet. We also like how Four Winns gives customers an ample swim platform, which comes with an offset three-step telescoping swim ladder. New buyers will come to appreciate the Stable Vee hull design, which pops the boat on plane quickly—even with the standard 3.0-liter four-cylinder engine—and tracks through tight turns as though it’s on rails. Even though a new buyer might not know what kind of value the Four Winns Horizon F190 presents at first glance, it’s likely that he or she will come to appreciate it over the long run, one positive boating experience at a time—and it’s difficult to put a price on that. 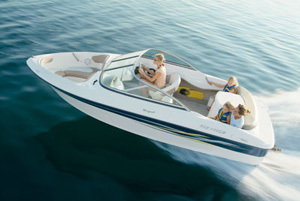 Other Choices: A new model in this market which also appears to deliver excellent value is the Bayliner VR5. The Tahoe Q7i is another price-conscious entry-level contender. See Four Winns Horizon F190 listings.